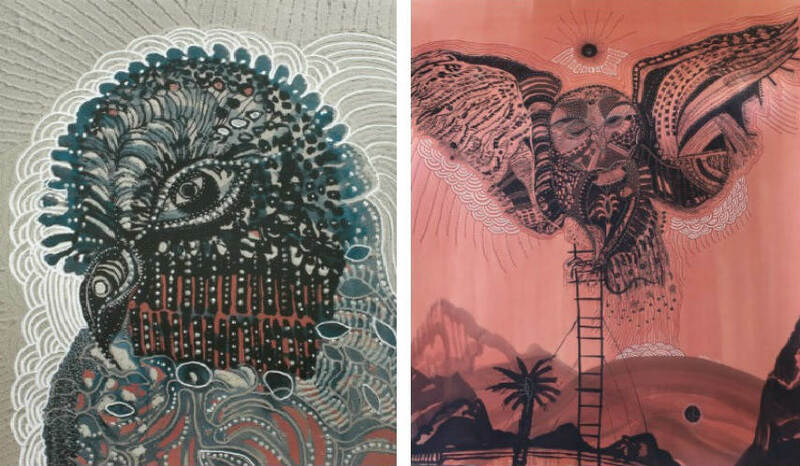 In the world of pure nature, Joshua Yeldham is an artist ready to become the part of it, searching for a deep spirituality in the landscapes and mythology. In his quest for inspiration, he will camp along the river or under the tree, just to feel and understand the forces of nature. His work is full of detail and his creativity has no limits. His canvases are carved. Borrowing elements from cultures of Africa and Papua New Guinea to Chinese watercolors and calligraphy, Yeldham creates new kind of romantic Aboriginal painting. His landscapes are a lyrical mixture of Australian land and his own imagination. Born in Sidney, Yeldham studied in the United States, where he received his Bachelor of Fine Arts from the Rhode Island School of Design. He has exhibited mostly in Australia and China and his work is a part of international private, public and corporate collections including the Australian Stock Exchange and The University of Wollongong. For one period of his life, Yeldham was a very successful filmmaker. For his film Frailejón (1993), he has won a Student Emmy Award, been nominated for a Student Oscar and been a finalist in the Wynne, Sulman and Archibald prizes. His early childhood influenced and directed the rest of his life. When he was eight, Yeldham was sent to the boarding school, far away from home, where he was confronted with everyday bullying. A small and sensitive boy was not popular among friends and teachers. But vestiges of his childhood helped him to create his own world of art. He started to live in fantasy, painting and drawing products of his imagination. 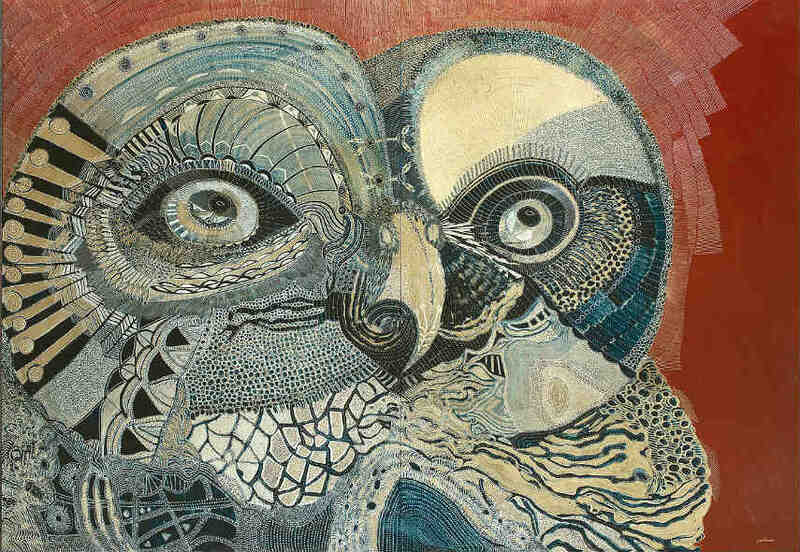 The owl, very important symbol and potent energy in his paintings, represents the fertility totem, which he adopted when he discovered he was infertile. Known in mythology for their wisdom, owls play a distinctive role in Yeldham’s visual language, becoming a metaphor for the artist himself. His children were born via IVF, and today, his main support is his family, wife and two daughters. He documented his struggle in the book Surrender: A Journal For My Daughter, which is the unique testament to his devotion. Yeldham works in his backyard studio, his family is present and deeply involved in his creative spirit. The result of his work is unreal beauty, dreamy scenes torn directly from his heart. 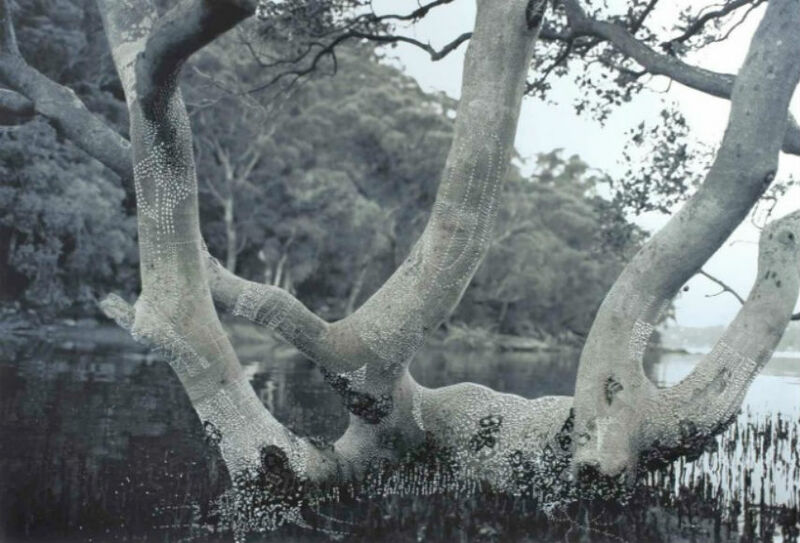 Joshua Yeldham is now considered one of Australia’s most talented landscape artists. He creates abstract and, at the same time, figurative works, connecting real places with narrative and fiction. Captured by the power of nature, he puts heart and soul into every piece. His numerous awards and prizes, such as Redlands Konica Minolta Art Prize (2014/2015) or Archicald Prize (2013), are only the confirmation of Yeldham’s sincere devotion to his work. The artist is represented by The Cat Street Gallery, Hong Kong. 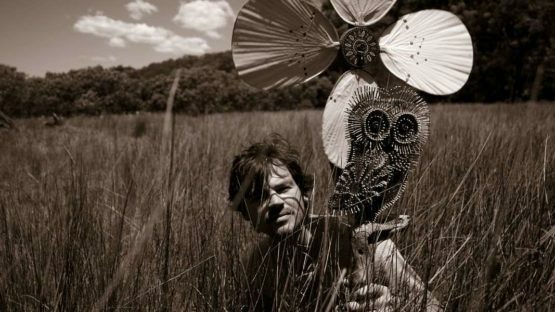 Joshua Yeldham lives and works in Hawkesbury, New South Wales, Australia.